It's understandable if your initial reaction upon hearing the phrase "modern with a Southern sophistication" is to wonder if that would work design-wise. After all, modern style is usually associated with clean, sleek lines and Southern design has typically been known for a more traditional style using family heirlooms and textiles with exuberant color, patterns and details. 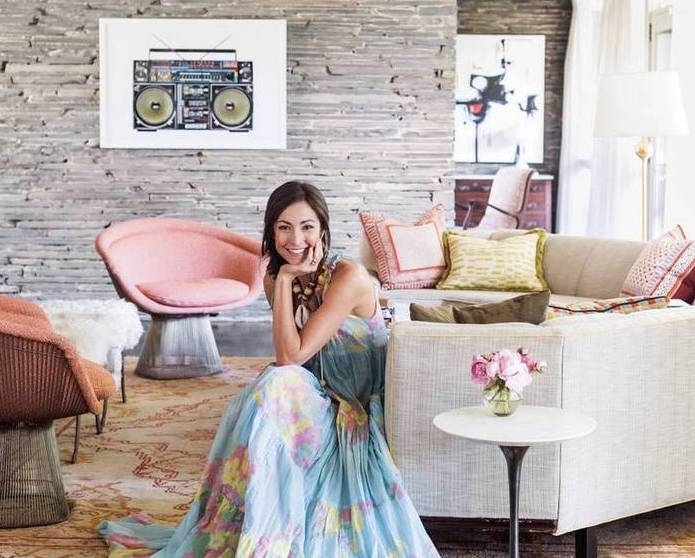 Then you get to know Decorist Elite designer Charlotte Lucas and realize that this is not only possible, it actually works tremendously well. Known for her unique designs of modern-meets-traditional, heirlooms with acrylic, and layers of color, we asked Charlotte to share her top 5 tips on how to get her signature look. You can also see her beautiful feature from this summer in Domino Magazine. Wallpaper has come a long way in recent years. Significant advances in technology and technique has pushed the medium into something more closely resembling art than decoration. Everyone should take advantage of the amazing wallpaper resources we have today and turn an unassuming space like a stairwell into a statement! The Kelly Wearstler wallpaper I chose to cover the wall of my stairwell has such a loose and free form design that compliments the other linear shapes in the room. In addition, there is much more liberty in today’s architecture to use wallpaper in non-traditional manners, like the black and white “spotted” wallpaper on the ceiling in my daughter’s bedroom. It brought a whole new dimension and unique perspective to the room. 2. Embrace heirlooms - Granny had style! My home is filled with vintage furniture, heirlooms from my grandparents, antiques from auction, and linens and fabrics sourced from dark attics. Even my outdoor wrought iron furniture is from my husband’s grandparents. Antiques tell a timeless story and are often the best compliment to a modern room, helping balance out bold non-traditional lines with a familiar feel and vintage chic. 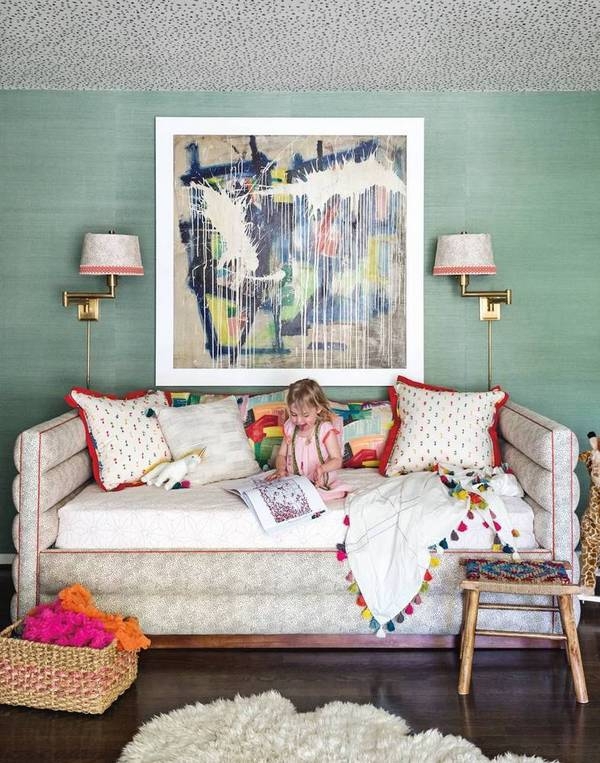 The best way to bring style into a simple room is to use your favorite bright colors at an exaggerated scale. Don’t shy away from bright colors - and they match best with other bright colors! Don’t be worried if a bright color is a bit shocking at first. Often times, you want a certain part of your house to speak loudly and illicit a reaction. Your dining space can often times be a forgotten space. Entertain more and forgo the formal dinner parties - don’t be afraid to gather around with cocktails and h'orderves instead or desserts instead! 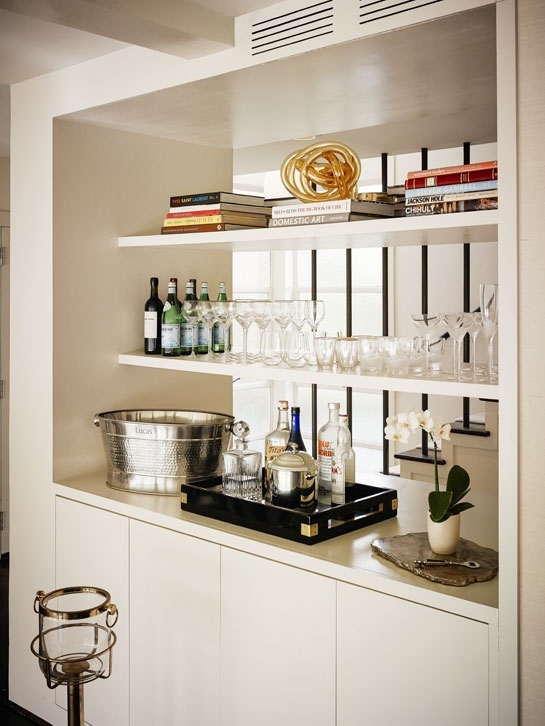 When entertaining, try and make an impression with the details; such as serving specialty cocktails from vintage champagne glasses and using antique linens with eyelets and monograms. Accessorize your Southern heritage in a modern way by re-framing portraits, blueprints of your childhood home, family crests or your grandmother’s needlepoint. It’s amazing what a new frame will do to an old piece! WOW! Thank you Charlotte for share your designer tips. Feeling inspired? YOU can get this southern sophistication for your home by booking a design project with Decorist Elite designer Charlotte Lucas or one of our other 400 designers.